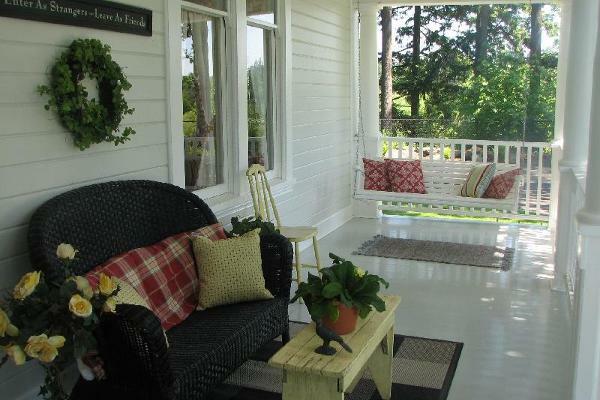 Find a quiet porch swing, listen to the water as it trickles down the rocks and splashes over the waterfall, have a glass of lemonade and let time stand still for just a little while here at the Sandes of Time Bed and Breakfast. 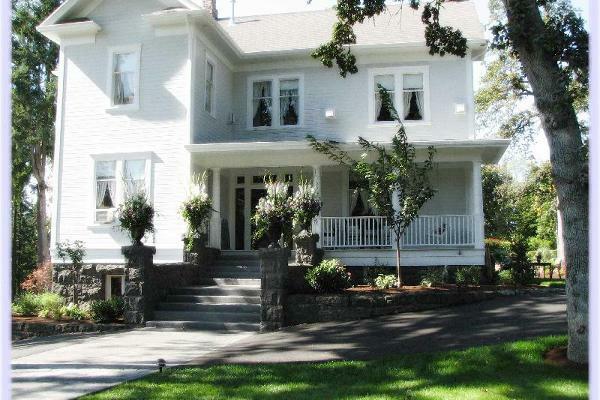 This historic home is perfect for guests staying one night or several. 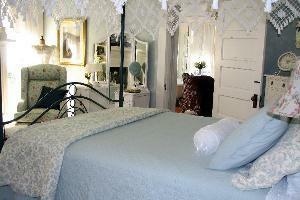 Built from 1904 to 1907 it has been restored and renovated to include four guest rooms or suites. Each guest room has a fireplace, TV/DVD, private bathroom, clock radio, Wi-Fi, hair dryer, ceiling fan and seasonal air-conditioning. The family suite has a full bed in the front bedroom and two twin beds in the back bedroom (each of these has its own TV/DVD and fireplace) accommodating up to four people. 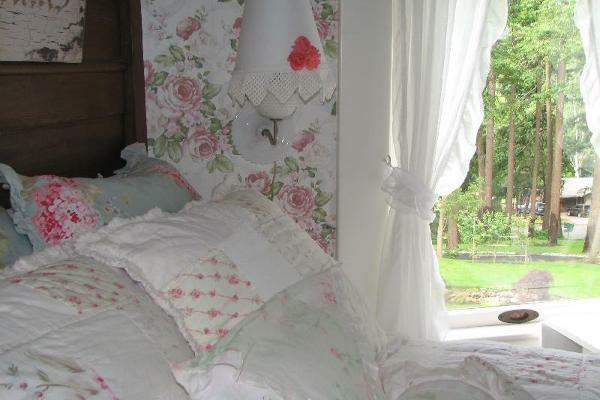 Youll find the decorating warm and welcoming, the yards and gardens peaceful and relaxing. The breakfast menu varies each day and is a very good reason to get up in the morning after a restful nights sleep in our comfy beds. While youre in our neighborhood we hope you will find the time to take in some country pleasures in the rural areas of Oregon City, Canby, Wilsonville, and Aurora. The farmlands, flowers, farmers markets, horse ranches and antique stores make for a wonderful day of sightseeing and shopping. Day trips to Mt. Hood and the surrounding territory or to wine country in the Willamette Valley are both less than an hour away. Another favorite day trip is to the beautiful Oregon Coast, about two hours away. Locally, were ten minutes from the Historic Sellwood district and fifteen minutes from downtown Portland with all its offerings of entertainment, sporting events, shopping, dining, museums and cultural events. We make an excellent home base for guests wanting to take in a variety of activities in northwestern Oregon. Need some pampering? We can arrange for hair services, massage therapy, fitness training, manicures, pedicures, facials and waxing, make-up artistry, yoga, bridal services and a fun Girls Night In. All services are performed by Licensed Therapists and Technicians. If youre staying in for the evening, watch a favorite movie in our home theater room. Popcorn is always on the house and so are the sodas. Iced tea or lemonade in the summer and spiced apple cider in the fall and winter are always available for our guests in the afternoons. The guest coffee center has a refrigerator stocked with sodas and bottled water. With a microwave and instant-hot water tap, the flavored coffees and teas are a quick pick-me-up available any time of the day or night. Coffee is ready in the mornings beginning at 6:30. Breakfast is served between 8:00 a.m. and 9:00 a.m. in the dining room or on one of the porches, weather permitting. If youre really lucky youll get to watch our resident turkey vultures babies hop along our back fence and try out their downy wings. 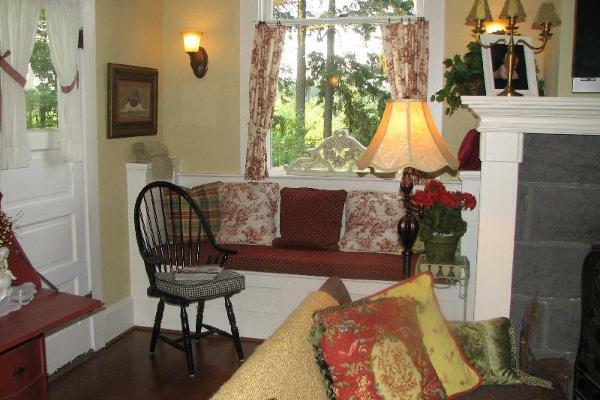 A historic home restored and renovated to include four lovely guest suites all with private baths and fireplaces. Antique districts of Sellwood, Oregon City, and Aurora, farmer's markets, OMSI, Oregon Zoo, Japenese Gardens, World Forestry Center, Children's Museum, North Clackamas Aquatic Park, Oaks Park, Rose Quarter, Clackamas Town Center, On bus line. One Night's rent confirms lodging. Refund if cancelled with 72 hours less $10 administrative fee.